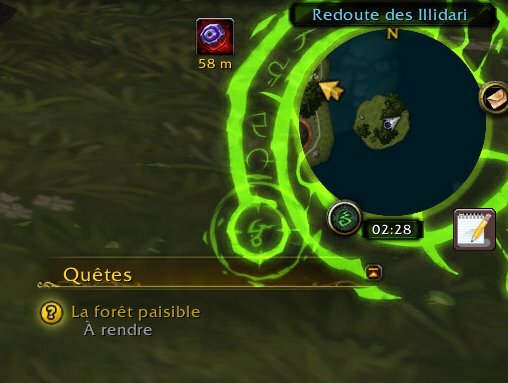 Faites-vous un preset avec l'addon en suivant les instructions sur le site de Curse. Voilà le code de mon preset qui peut vous servir pour modifier le vôtre. Attention, n'allez pas bêtement copier-coller le code dans votre fichier, ça va pas marcher. Voici un nouveau pack de textures tirées des fichiers du jeu et bidouillées pour être aisément utilisables avec SexyMap. Et en bonus, j'ai mis en ligne une galerie d'images permettant de facilement voir quel nom de texture = quelle image. On m'a fait remarquer que la galerie d'images contenait des images que l'archive de mon précédent message n'avait pas. J'ai corrigé ce soucis ET j'ai ajouté un paquet d'autres textures à la galerie et à l'archive. Ça devrait offrir plus d'options. • Download THIS PACK of textures I took from the game and processed to be usable by Sexymap in various colors. 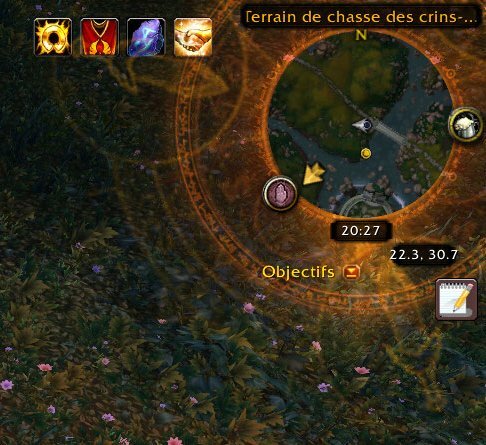 • Place them in the MEDIA folder of your Sexymap Addon ( World of Warcraft\Interface\AddOns\SexyMap\media ). • WARNING : every time Sexymap is updated (via CurseClient, Twitch or whatever way you do it), the media folder is emptied. You'll need to keep a copy of the texture pack to place it right back in the Media folder after every update. Fortunately, it doesn't happen as often as Deadly Boss Mod updates. • Make sure you've logged the character on which you want to have the preset after you've installed SexyMap. Basically, he needs to have a sexymap preset of his own. I might be wrong there, but until you do that, I don't think the character will show up in the addon's saved variables. • Go to the addon's saved variables ( World of Warcraft\WTF\Account\ YOUR ACCOUNT NAME \SavedVariables\SexyMap.lua ). I recommand you use NotePad++. It's free and great when it comes to coding. • Find the part of the variables related to your character (use CTRL+F to find it). • Replace that by my preset code found in this thread in quotation blocks. HOWEVER, if you want to make your own preset with the textures of the pack, go right ahead. To help with that, here's a link to a gallery I made to help see which texture name = which picture.